Come on out to the Free Dallas Extreme Coupon classes this week September 14, 15, 16, or 17th. 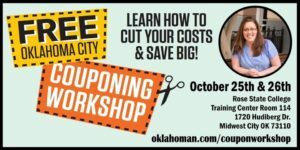 There are a few seats available for our 90 minute coupon workshops. 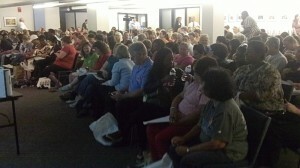 RSVP for free at Dallas Couponing. Choose your favorite day and time. You will learn how to easily drop your grocery bill by 50% without spending much time for the huge savings. I have been couponing for over 20 years and I will teach you my tricks and secrets to extreme savings without extreme effort. 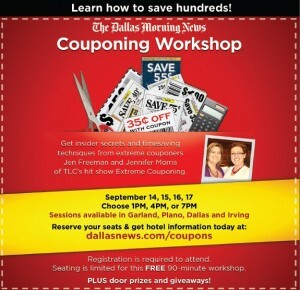 Register for the FREE Dallas Coupon Class — Join in on the savings! I look forward to meeting you. Bonnie and Gail came to our Milwaukee Coupon workshop and you can see their TV interview and shopping trip! Milwaukee TV interview & the amazing testimony. 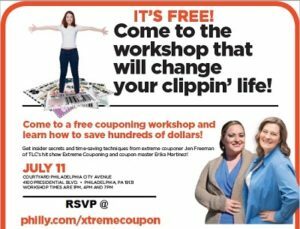 Choose Denver or Las Vegas and come, join me at these 2 Extreme Couponing Classes, like the one pictured below! Denver event Tuesday 5/7 — COME there are seats available! No need to register just come on out – Choose 4pm or 7pm! Learn my secrets to success in couponing and how I saved so much on my TLC Extreme Couponing Episode! 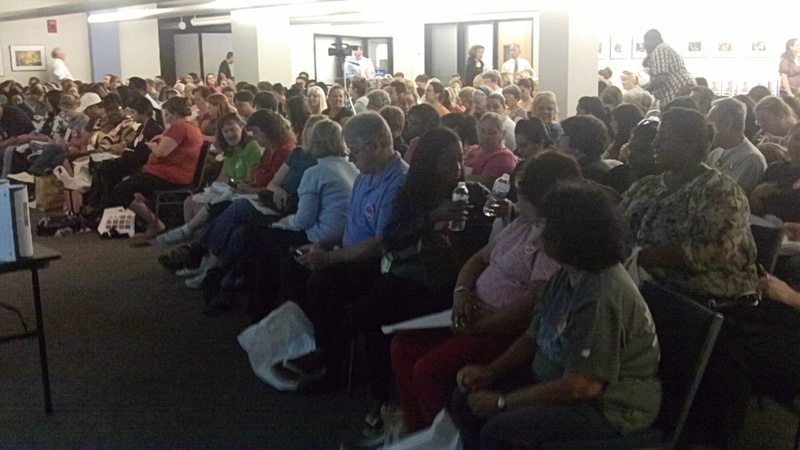 2013 Denver Colorado Coupon Class: May 7, 2013 — I cleared my schedule to be there!! I love being on my home turf and meeting all the local coupon lovers! 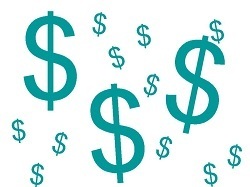 Now, let me share the secrets with you so you can save hundreds and hundreds and hundreds of dollars! It is really possible! I’ll be seeing you in Denver on Feb 26, 2013! I don’t know who did the ad again this month but it is STILL wrong! UGH!! I will be seeing you in Denver and Shannon is coming too! Register and come on by and say hello, learn to save bundle on the items you buy in your house today! (4pm shows full, but I PROMISE you if that time works for your there WILL be room! So come on out! Come Out TODAY June 21 in Pueblo Colorado! Come on out, I’d love to meet you, there is room for you! Learn the secrets to saving 50% on the things your family is currently buying!